Meditation reduces the world’s impact on us. At our hearts, our core need is for connection. Connection to ourselves, to others and perhaps even something deeper, the universal field, where we are all one. Do you know your own wants, your needs, your values and your dreams? Or perhaps you’ve lost sight of what some of these actually are? Before, we can have a deep connection with others, we need to develop a connection to ourselves. We must take the time to be still, to listen, connect into our hearts and the inner knowing and wisdom that exists inside all of us. “The thing about meditation is: You become more and more you.” David Lynch. We live in an over-stimulated world, that takes us increasingly away from ourselves, living with technology and speed; it’s easy to become separated from who we are. When we meditate we allow for a spaciousness to tune inwards. Sometimes this can be uncomfortable, but I guarantee that it creates, shifts and changes, and an expanding sense of self awareness. In the current day, our nervous systems become overloaded, and this leads to a decrease in energy, and we can become quite tired, foggy and fatigued. We lose sight of our needs, we shut off just to get through the day, to keep on going. Often unable to process what is actually going on in our lives. Ultimately the signs start to show, cracks appear in our health, our relationships and we often don’t make time for the things that are truly important to us. When we’re disconnected, we may even begin to self soothe in ways that are unhealthy to our bodies. That could be through eating, alcohol, shopping, overworking or other drugs. Most of us would have one thing we do that allows us to numb out, to escape the pressure or the feelings we are experiencing. Ignoring what is going on though, doesn’t make it go away. Our subconscious is 85–90% of our suppressed emotions and thought, and when we push our feelings, or stressors away, they get trapped down in the body. They need to come out in some way, this could be through meditation which can help to begin to dissolve the stress, by spending time in nature, or just giving yourself permission to sit and feel them. However, if we don’t acknowledge our experiences, confronting as this may be, they can rise up through physical symptoms, telling us to stop, to pay attention, to listen to what’s going on inside. Our bodies and minds are connected through our nervous system and one has a significant effect on the other. Meditation can help reduce the impact of the world on you. It gives us time to rest, to re-set, to connect inwards, to allow the stressors time to process. When we resist what is going on in our lives, it starts making it more complicated, especially if we start shutting down our hearts. We end up having layers of history stored down in our systems, we’ve stuffed it down to cope and to survive. Rather than pushing emotions or discomfort away, we can instead put our attention on it, so we can feel it and give it permission to heal. Our emotions once we embrace them can be a beautiful thing, if we keep them free from the story and narrative that surrounds them. When we go inwards we can begin to take full responsibility for ourselves, rather than looking for it in others; perhaps even blaming others for the way our lives are. We always have choice. We can start to see where we would like, or need to make changes; we can connect to what our values are and then shape our lives around them, rather than just going on one day to the next, almost blindfolded to the way we truly desire to live. Our connection to the present is strengthened, and we can be more in the moment. We’re less likely to jump to a future self that doesn’t exist yet, or a past self that no longer remains. We are changing on a daily basis, you’re not the same person you were last week, last year or 10 years ago, and we need to adapt accordingly. The beauty of when we get connected to ourselves, is that we develop the ability to be more connected to others around us. Our hearts start to open, we’re more present and able to actively listen to others without judgement. We develop a compassion and a kindness for ourselves, and for them. In a way, it softens us, but at the same time building an inner strength to create boundaries around what is and isn’t okay for us. We grow and know ourselves in a way that allows us to dissolve barriers, at the same time as being true to who we are. We also get a sense that we’re not alone in this world, we start to feel more connected to the world at large, that bigger presence out there. No matter what you like to call that, whether it be God, The Universe, Spirit, or something else; life begins to flow, there is more trust in ourselves and our ability to change and adapt with the circumstances. If we come from our right brain, the one responsible for connection to all that is, there is no divide between ourselves and other. However, we’re so used to operating from the left logic brain 90% of the time, that we have lost our contact to this part of ourselves. 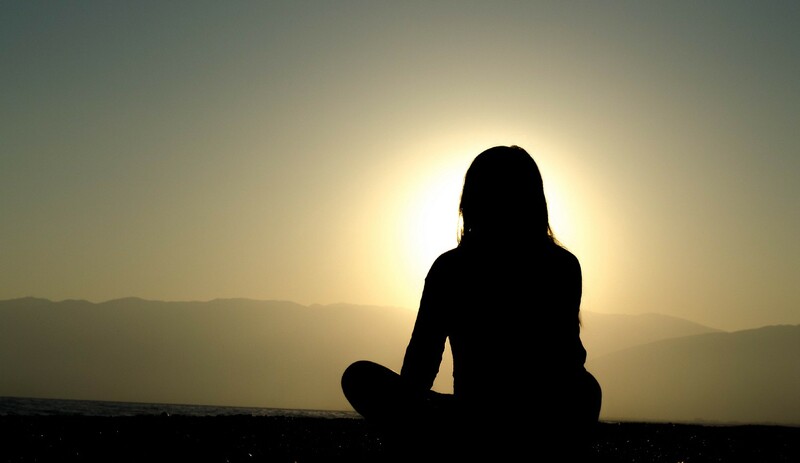 Meditation increases our ability to tap into this field of consciousness, to connect into our hearts and therefore feel a deeper connection to all living things, to other people, to nature, to animals, to our environments, without feeling that sense of separation. All of this leads to feeling more in tune with the world around us, and that we’re a part of something bigger, that we’re not alone. While meditation doesn’t solve all our problems, nor does it mean we won’t face challenges, it does give us a tool to be able to deal and process them more effectively. When we know ourselves with a deep awareness and understanding, we’re able to be there for ourselves, with support and compassion for where we’re are at. While it doesn’t take away our desire for companionship, or need for community, that’s what life is all about after all; we can learn to be our own best friend, developing a trust in our own inner wisdom. We stop looking outside of ourselves for external approval and happiness, or waiting for someone or something else to come along to make us fulfilled, as we have the ability to do this for ourselves. Everything we need is right here within us! A certified meditation teacher, Sacha is educated through both the Institute of Integrative Nutrition and Wellcoaches as a Health & Holistic Life Coach. She is currently completing a double diploma in Kinesiology and Mind Body Medicine.